Often cold spots can indicate the presence of a spirit form. Either the room becomes cold or a spot in one area of the room will suddenly become cold. One of the ways spirit can communicate is through sound. Often strange knockings are an indication that a spirit form is close at hand. Objects can also be dropped, moved or thrown. When a spirit is drawing energy to become more visible they will often draw-in nearby energy; this energy can also come from batteries in video cameras, and other devices. Often cameras, tape recorders, even lights will suddenly go haywire or stop working all together when a spirit is present. Physical encounters can occur such as the sensation of being touched, pinched, slapped, etc. These smells can seem to come from nowhere, and develop instantly and disappear just as quickly. The smells can vary from sweet floral smells, tobacco to putrid rotten meat smells. You may see other types of spirit manifestations in the form of strange shadows, black masses and wispy forms like smoke. Occasionally some spirits may appear as barely visible forms, while some become as solid and normal looking as a living person. These sounds can present as whispers, moans or even a shout. 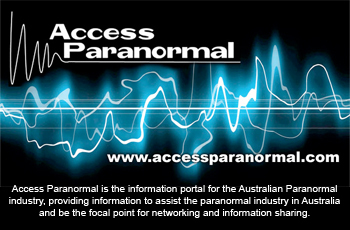 Occasionally spirit energy can appear as orbs of light or light anomalies such as flickering forms. Orbs can present in a variety of sizes and colours. Orbs can be seen with the naked eye and also can be captured on camera. Please be aware that often the orbs captured on camera are water or dust particles.